You know what they say about getting caught in a web of bad decisions. 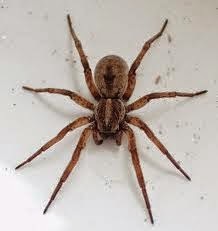 Hutchinson News (Kansas) reports that a certain woman Ginny M. Griffith, 34, is charged with arson after the po-po (police) say she set her home on fire during an attempt to kill a spider. According to this woman, she tried using a cigarette lighter to set some towels on fire at about 1:30am. fire and the building only suffered light smoke damage.